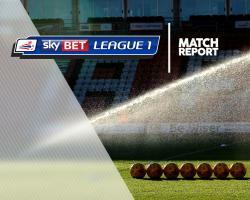 Bolton recorded their first Sky Bet League One win of 2017 with a 4-1 victory over Walsall. And they did it the hard way, recovering from Erhun Oztumer's goal of the season contender after four minutes. Without a win in their previous six matches, promotion chasing Wanderers were rocked by pint sized Oztumer's stunning 40-yard strike. Instead, Walsall, unbeaten in five before their trip to the Macron Stadium, conceded an equaliser to striker Gary Madine's header 11 minutes later. Jay Spearing, provider of the assist for Madine from a corner, then crossed from the opposite side and James O'Connor put past his own keeper, Neil Etheridge. It got even better for Bolton when Liam Trotter thumped home from 25 yards for his third of the campaign after 30 minutes. Instead, assistant referee, Sebastian Stockbridge, ruled Cuvelier's shot hadn't crossed the line before Mark Beevers hacked clear. Stockbridge had stepped up from fourth official duties during a half-time extended to nearly half an hour due to medical treatment for original assistant referee, Helen Byrne. Madine should have doubled his tally but fired straight at Etheridge before substitute Chris Long rifled in Bolton's fourth and his first since joining on loan from Burnley after 87 minutes.